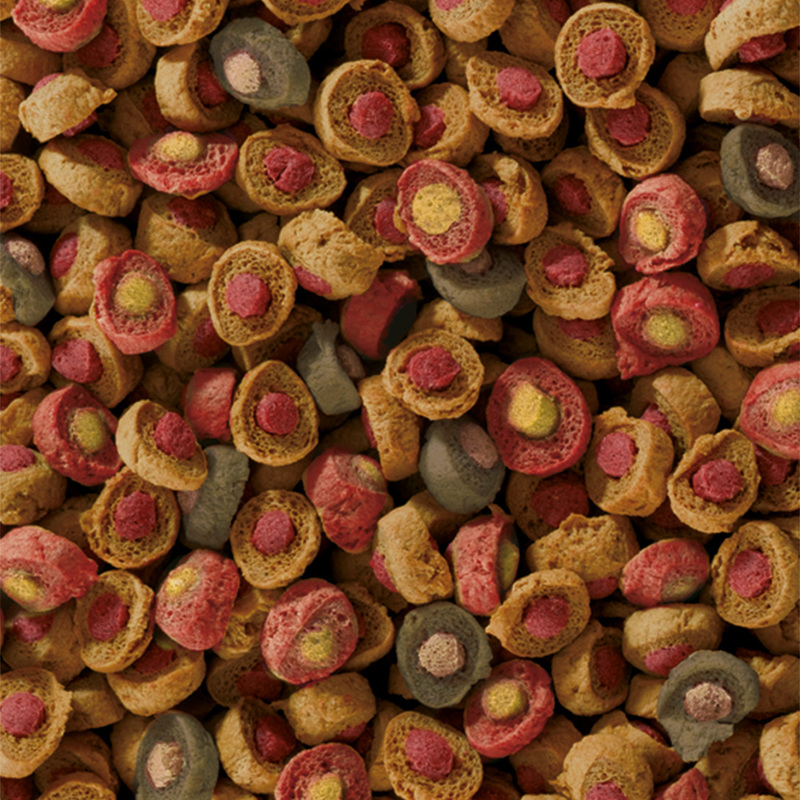 This innovative, special food is suitable for feeding Koi above 15 cm (6 in.) at water temperatures above 8°C (46°F) throughout the year. Besides the functional ingredients close to nature, such as MOS, beta glucanes, Haematococcus, Spirulina, etc., which already are a standard for sera, the co-extruded granulate contains the probiotic Bacillus subtilis, which stabilizes the intestinal flora of the fish. This supports their health and improves food utilization. The Koi therefore grow quickly and evenly, and become ill less frequently. Water pollution is also reduced. 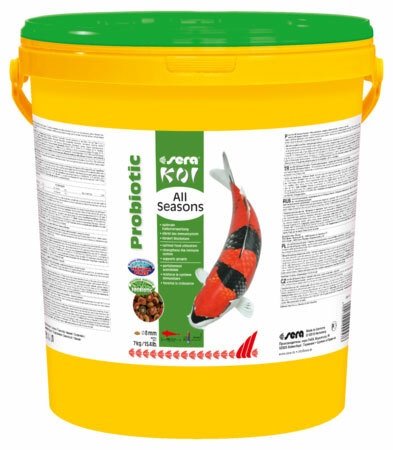 Koi All Seasons Probiotic is another groundbreaking innovation success by sera in the Koi feeding range. 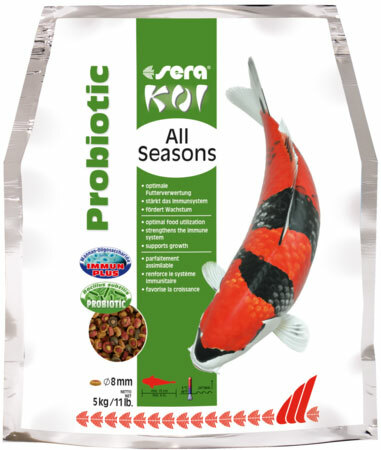 For the first time, this excellent Koi food contains the intestinal flora stabilizer Bacillus subtilis, which is approved for ornamental fish since June 2016, and is expressly recommended by the EFSA (European authority for food safety) for use in ornamental fish food, to improve growth and food utilization. The optimized usability of the food supports the quick, even development and health of the fish. The strengthened animals become ill considerably less frequently. Additionally, water pollution by ichthyotoxic and algae-supporting waste products is considerably reduced. The special food should replace the respective seasonal food at least several times weekly throughout the year [at water temperatures above 8°C (46°F)] for the fish to benefit from these positive effects permanently. Of course, it is also excellently suited as a staple diet. 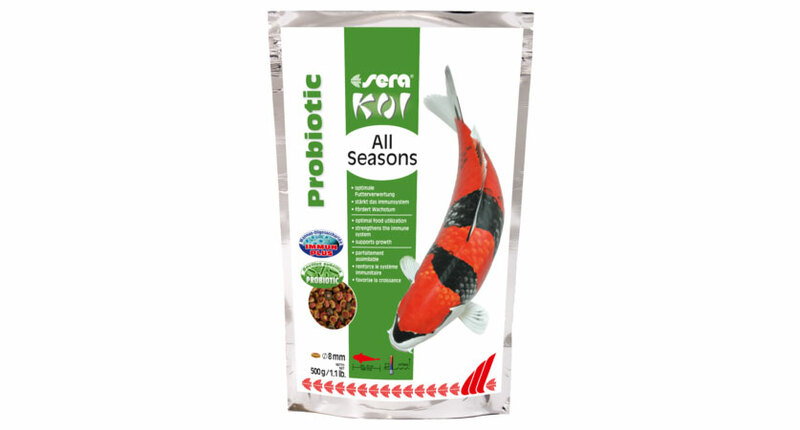 sera Koi All Seasons Probiotic in a 5 kg/11 lb bag.